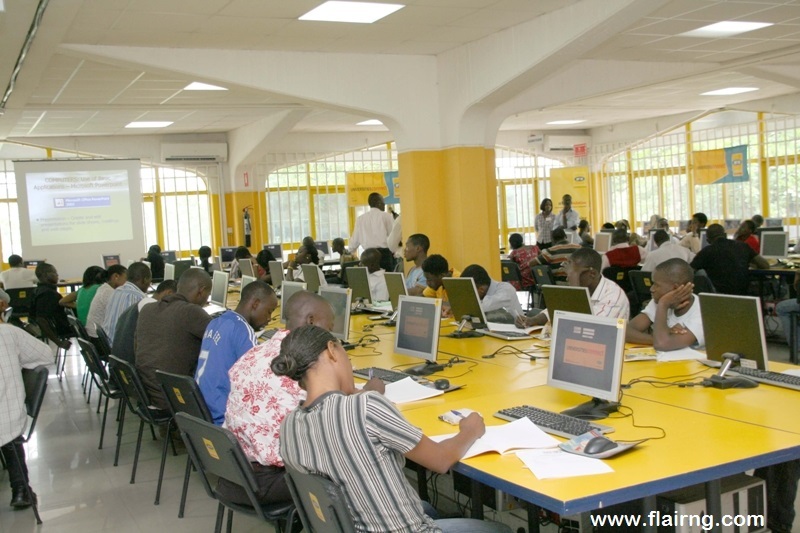 MOBILE telecommunications firm, MTN Nigeria may have commenced subterranean moves to evacuate the abandoned Universities Connect Library at the University of Lagos (UNILAG), Akoka, Lagos. The state-of-the-art digital library, donated to the school in 2005, has been placed under lock and key in the last five years and much to the dissatisfaction of the donor organisation. In-house sources at the Corporate Social Responsibility (CSR) office of the telecommunication outfit informed The Guardian that the evacuation processes would begin soon, even as it was gathered that troubled Lagos State University (LASU), Ojo Campus may be the new beneficiary. The abandoned facility helped the 54-year-old institution to link up with other citadels of learning for reference books and research materials. It put at the disposal of the school, intellectual resources of over 5,500 libraries, organisations, publishers of academic journals, professional reference and scholarly works. “This library will support the assembly and creative use of up-to-date information at the click of a mouse,” Executive Director, MTN Foundation, Amina Oyagbola, had said at the commissioning. At the opening, the library guaranteed two-year subscription to journals, books and so on, as well as a two-year maintenance contract to ensure the environment was adequately maintained. It was gathered that the facility and its 125 networked computers, three laser jet printers, a server, and VSAT-based Internet connectivity, 15 air-conditioners, and alternative power generation all ran like a well oiled machine for the two years. But without plans for onward maintenance, the library struggled for relevance among researchers. Today and 10 years after it was commissioned, many undergraduates are not aware that such facility ever existed or what it represents sitting next to their Main Library. A doctorate student of the institution (an undergraduate in 2005), told The Guardian that the problem started gradually around 2008. He recalled ease of access to academic materials suddenly became difficult, with complaints over malfunctioning system, power outage, network issues and faulty server. “Internet enabled phones were still a luxury then, so the digital library was more of a respite for researcher to get things done and quickly too. But with technical problems, one cannot but lose interest. Later, it was the case of staffers that would not come to work. All of these dragged on till it eventually shutdown,” he said on condition of anonymity. When The Guardian visited recently, it was all covered in thick dust, overgrown weed and firmly locked in chains and padlocks. Citing the library at Akintunde Ojo Main Library annex was also a challenge for the sensitive infrastructure. The building, which sits besides the school’s main library, overlooking the Lagos lagoon, is one of those early structures affected by the poor maintenance culture. Since the building ceased to be the Main Dining Hall for Akokaites back in the 1970s – when Structural Adjustment Programme (SAP) scraped school feeding programme for Nigerian students – the Akintunde Ojo building became a junkyard, and makeshift library for all-night readers during examination periods. Sources within the school alleged that “yearly royalty” also became a subject of feisty battle between the school management, the donor and a top ranking personality in the university system that had approved the project at inception. MTN Corporate Social Executive, Akinwale Goodluck, recently at the Lagos State Support Our School Initiative Breakfast Meeting, said the world-class facility, a pride of his organisation, had been locked up for years, because the school management could just not keep to agreements in a Memorandum of Understanding (MoU) signed in 2004. Goodluck, who gave credit to the Lagos State government and the ministry of education on effective partnership till date, said a state-owned tertiary institution would be the new beneficiary of the digital library when it was retrieved from UNILAG. “We are happy to transfer this facility to Lagos State,” Goodluck said. Authorities of UNILAG, however maintained that they had given the telecommunication outfit their blessing to remove the facility, after sections of the second agreement were breached by the mobile outfit.